Last December I was proud to be included in the annual Power Part Time List. Collated by Timewise and published by the FT, the list busts the myth that part-time working is just for low-skilled or low-profile jobs. It showcases people working in influential roles while maintaining a flexible balance between work and other commitments. I have worked in the Civil Service since 2007 and consider myself extremely fortunate to work for an employer that is so supportive of flexible working. Since joining, I have worked full-time, part-time, in 2 job shares, had 2 maternity leaves and taken a career break – all within 7 years, and all with the full support of my various line managers and the organisation itself. 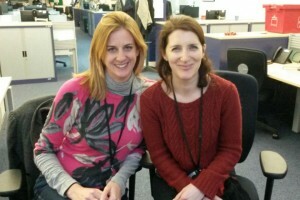 I am now working 3 days a week in a job-share partnership with Susie Owen. We manage two really interesting teams in the Cabinet Office – the Governance Strategy Team, which is responsible for overseeing good governance across departments and recruiting Non- Executives to serve on Departmental Boards; and the Diversity Strategy Team, which leads the strategy on diversity and inclusion across the Civil Service, and the implementation of the Talent Action Plan (TAP) for ensuring the best are given the opportunity to reach their potential, whoever they are. I have the reward of working on an area I am passionate about, and believe that delivering the commitments in the TAP will make the Civil Service an even more inclusive employer and an even better place to work for everyone. The job-share partnership means we can share complex and interesting work without having to compromise on spending quality time with our families. I hope my experience, and that of others like me, will help persuade anyone considering working part-time that it doesn’t mean the end of your career aspirations or even having to put them on hold. Through a job share, you can continue to work in challenging roles. Take a look at the Civil Service Jobshare pages to find out more - an online tool will soon be available to help you find someone to job-share with. We have also organised an event for those looking for SCS job share partners where they can meet others in the same position. Recently, I spoke on a platform with women from different sectors, sharing our experiences of being a woman in the workplace. I was struck by how supportive the Civil Service is as an employer compared with some in other areas. We still have a distance to travel, but many positive policies are in place, including excellent provision for maternity leave, career breaks and a variety of flexible working options. Over the next year, as the TAP recommendations are implemented, I would expect things to improve again, and for the Civil Service to become an exemplar in supporting women as they leave and rejoin the workforce. It’s worth pointing out that, as the Head of the Civil Service Sir Jeremy Heywood says in this film on job sharing, part-time working is not only for women. I hope that as more men take parental leave and as people approach retirement, or scale down their work commitments for other reasons, they too will see part-time working and job sharing as options to consider. Taking care of your workforce and working hard to retain talented staff make good business sense. The Civil Service recognises this. I am keen to hear about others’ experiences and what more we can do to support those working part-time or wanting to explore it as an option. Its great to see talented women like Deborah being able to utilise the flexible working options open to us in the Civil Service while still managing a challenging job role. It would be great to be able to go part time/ job share if needed but as there is no right to go back to full time if and when your personal circumstances change unlessyou are applying for a new job or someones leaves where you are working. This still puts people off. Which is why a lot of people still struggle to work full time shifts with children knowing if they drop any hours there is no guarentee they can go back to full time still doing the job they love. This provides a level of uncertainty. Im glad it worked for you. I fully endorse that HMRC does have flexible working and family friendly policies in place and I have been lucky enough to enjoy part time and part year working during my long career - 34 years. However I can only say from experience that these policies are not enjoyed to the same capacity in call centres where we are a slave to call volumes and availability of staff. Good luck to my younger colleagues but I fear they will not enjoy the support that I had from the Department. The flexibility is not available in all areas of the department and these ladies are lucky to have a considerate management chain. I would love to read an article about how Deborah achieved such a good balance. I work full-time, but I think some part-time colleagues would say that it is difficult to manage a demanding job role on part-time hours - I would be interested to read Deborah's views on doing this. As Father of two young children and one on the way, flexible working options are just a privilege to experience with the support of my Team Leader Katie Farrell. For the type of job i do, and my family responsibilities, life become much more manageable, therefore stress level considerably dropped. Sadly I am in the same predicament, after working for the MOD since 1979, I would like to reduce my hours when I am 58. I know I am very experienced and knowledgable, but I have also been told it's full time or leave! Very disappointing that I think I will have to look to a future looking for part time work, if my line manager would agree to me reducing my hours, I would probably stay on longer than 60. A positive article, thank you for sharing Deborah. It's good to hear you feel it's not limited your career to date. I've worked part-time since my twin sons were born in Sept 2008 (they are now in Year-1 at school). I was initially off for 3-months using 3-weeks paternity leave (2 of which my kids were in special care) and the rest off with unpaid parental leave until the Christmas (the one thing you get more of with multiple birth children). My partner was off work for almost a year on maternity leave and from Jan to Aug 2009 I worked a 4-day week (two days in the office/ two days from home). From Sept 2009 until Sept 2013 I worked 3-and-a-half-days compressed into 3-days (two days in the office/ 1 day from home), and my partner also went back to work part-time working 3-days as well (she works for the NGO Comic Relief). Since our kids started school I've done the same hours but spread it over 4-days (2 short days between school runs and two 'normal-ish' days in the office). My partner and I are both primary carers and have always done equal parenting, so we are very interchangeable as parents which we feel has been really good for our kids. However, in terms of career development, it's essentially meant whilst we've been able to keep our careers going (though I mainly feel mine is a job), both our careers have stalled. My employer, Defra, is generally supportive of flexible working, as have been most of my managers. It's sometimes been a challenge working part-time, epsecially when my kids were very young and I was very sleep deprived and trying to fulfil what were sometimes full-time roles in part-time hours; at other time it's been more balanced, but I still feel that as a part-time worker you are not always seen as being fully-engaged and committed even if you work incredibly hard and deliver really good work. One of the key things that facilitated flexible working in general in my department was the rollout of PCs and home broadband connections about 7-ish years ago, so it reached a critical mass of acceptance irrespective of work patterns. I still feel that being full-time is what you have to do if you really want to push your career; but I'm after a 'family career' which enables me to do something worthwhile and meaningful whilst still being able to be around for my family. I've been trying to find another role but it's difficult to do as most roles are advertised full-time and often part-time roles are essentially full-time. So moving my career on now my kids are getting older is a big challenge. You say that "part-time working is not only for women" - true, but I feel this may be approaching it from the wrong direction. The challenges of working part-time and career development are essentially bound up with decisions about who takes responsibility for the kids or not which are made in relationships. Overwhelming, women undertake the primary carer role compared to men - that's down to cultural assumptions/ patriarchy around gender, parenting, who should be the 'breadwinner' etc. It doesn't have to be like that and the sharing that me and my partner have done shows it doesn't have to fall mainly on one person, but there are downsides to it in terms of being able to progress your career. It is so inspiring to see women succeeding and being supported in the workplace. Unfortunately, I have a colleague who is dealing with a tremendous amount of stress because management are not at all sympatheitc to her situation and are not providing her with a response at all regarding her request to change her working hours. It is such a shame, considering that our job is to ensure the welfare of our clients, yet our very own employers have disregarded the welfare of their employees. In order to empower women - or people in general - we must be fair and just and take personal circumstances into consideration, making the most of people's strengths and abilities. It is nice to read how Job Sharing worked for you.. I just wish they would give this more consideration in our workplace. It is lovely to read such a happy story about a woman being so successful in her job and having the work life balance of being a mum aswell, unfortunatly i think this is a 'one off' from my own personal experience this isnt the case across the board, the Civil Service might promote flexible working patterns and the option of part time hours, but unfortunatly this isnt a true reflection on reality. In my own experience job sharing wasnt available to me even after making a request to do so, therefore i would say again this is a 'one off' success story. Hi all, thanks for your comments. I do appreciate that not everyone has had such a positive experience of working part time as I have but as I am part of the cross Civil Service Job Sharing group I do know that there are a lot of people like me who enjoy this excellent working pattern and have been able to progress as a result of it. I do agree that working part time can slow down your career and understand frustrations around this. The Civil Service now has guidance on Job Sharing - https://www.gov.uk/government/publications/civil-service-employee-policy-guide-to-job-sharing - and this is an option that should be available in almost all roles. Please see the Job share blog pages where you will see lots of examples of people job sharing in the Civil Service, which you should be able to use to persuade employers that this is a good option for individuals and for the business - https://www.gov.uk/government/publications/civil-service-employee-policy-guide-to-job-sharing - do get in touch at inclusion@cabinetoffice.gov.uk if you want to talk about this any further. Its really nice hear that there are a number in the civil service who fully appreciates the value of flexible working. In my experience, it feels like there is an unconscious bias toward part-time workers. Even if you are one of the most committed and productive employees, to go part-time to many managers or colleagues may suggest lack of commitment and engagement which is usually the opposite. Employees often decide to work part-time because of other competing priorities which is fundamental to the employee's ability to perform at the highest level. Therefore, flexible working rather creates a positive energy for further engagement and motivation as an employee with desired work/life balance is a happy and resilience employee. All parties stands to gain. Its really nice hear that there are a number in the civil service who fully appreciates the value of flexible working. In my experience, it feels like there is an unconscious bias toward part-time workers. Even if you are one of the most committed and productive employees, to go part-time to many managers or colleagues may suggest lack of commitment and engagement which is usually the opposite. Employees often decide to work part-time because of other competing priorities which is fundamental to the employee's ability to perform at the highest level. Therefore, flexible working rather creates a positive energy for further engagement and motivation as an employee with desired work/life balance is a happy employee with resilience. All parties stands to gain. Thanks for an interesting read. I work part time and am reaching the point where I am looking for a promotion. But I see very few interesting, frontline policy roles advertised for part-timers. I am aware I only got my current role as a part-time worker, a very rewarding one with an EU element, due to the shortage of people at my grade in the Department at the time. Three years ago I passed a board for the next grade up but the part-time job I was offered was so uninspiring I turned it down and kept my current one. I've looked into job-sharing. Basic prejudice against the idea aside, the bar - both people in the job-share being the best at interview - is a much higher one than for a single full time person, particularly when you are looking to move up a grade. Any advice on how to handle these issues? I concur with some of the comments above that part-time working etc is extremely hard/impossible to get in any front line post. With all due respect to Jeremy Heywood I find it insulting that someone in his position is making statements that he hopes that as more men take parental leave and as people approach retirement, or scale down their work commitments for other reasons, they too will see part-time working and job sharing as options to consider, when vast areas of the DWP where I work refuse part time requests with no other reason other than the work is business critical. It appears to apply in HMRC looking at the comments above. I have just been refused partial retirement for the reason that the business could not cope with my reducing my hours even though I pointed out that I would be likely to fully retire if refused. In my experience as a union rep helping many members in my organisation apply for part time working and appeal refusals, it is becoming nigh on impossible to secure part time working in operational roles because we are so under-staffed that the business cannot absorb any more stretch to the service. Talk of family friendly and part time working is lip service unless you are fortunate enough to work in certain more humane sections. I have been lucky, most are not. Like the gentleman above who is considering full retirement upon being refused partial retirement, some of my members are faced with the choice of full time working or resignantion for a part time job elsewhere. At the AO grade, which most of our members are, with the cost of childcare so high, it really does not make much financial sense to work full time. I would love to job share with one of my colleagues and have put this forward as an option to my employer in DWP. They have refused both our applications stating that they cannot make any decisions until allocations are known. Despite this staff are being posted to OGD's and staff in the same grade are being offered VES. The idea of job sharing is a noble one but in practical terms is very rarely granted. It is interesting that job share is what is going on here and not part time as such. Obviously a return to the 1980's when this was the more accepted way to work part time. I worked part time when my son was a child, from 1992, It was fully supported by the the Inland Revenue but you could kiss your career goodbye. While part time, (now in HMRC) the rules changed and I found myself unable to revert to full time work. Only taking a different job involving 3 hours of commuting per day enabled me to go back to full time work which has had a detrimental and long term effect on my pension. I have worked in the home Office for 20 years, during which I have had three children and took career breaks. I have not had been able to get a lot of opportunities as I work part time. When at work I do as much as the full timers sometimes more. I am on the go from the moment I step foot into the office untill I leave and never have a lunch break. I feel I am always having to go that much extra to proove myself but still not getting anywhere. I am sure if I was to be working full time and doing less work I would still have progressed with my career more than I have done. You are not alone - the pressure we are under as (alleged!) "part-timers" can be overwhelming, and leads to nothing good for us OR the Dept. It's only a matter of time until a mistake is made and then it will be held against us in our PMR! I wake up in the night thinking about the things I have to do/should have done, and worrying about how I can continue to cope with all the many demands on my time/sanity. i have accepted a full time post recently on promotion after much thought and worry. I previously worked part time in the same area of work and the job had been advertised as suitable for flexible working. But ive been told its only suitable for full time working. I have offered many options to my manager to try to come to an arrangement that suits us both and all have been turned down flat. I believe it was deliberately advertised as flexible with no intention of allowing it to be. My personal life is going to be very difficult as a result of trying to manage part time work and young children at home and I am already feeling there has been a closing of ranks against me and I am very demoralised about the whole affair. My management dont care about getting the best person for the job. In my situation they have only paid lip service to policies on equality. I have appealed the decision but will probably have to proceed to grievance as i have good reason to believe there are moves afoot to influence the independence of that decision and not in my favour! I have a very unfair fight on my hands now and my previously untarnished reputation is now in jeopardy. The whole matter has been a shocking eye opener for me. I must have been very naive to believe things like this do not happen in the civil service.